It might have a name which sounds like it has been dreamt up by a BBC committee trying not to offend anyone, but how does Case IH’s new Luxxum tractor range actually perform? Bristling with tech in pint-sized proportions, the new Luxxum tractor range replaces the Farmall U Pro to become Case IH’s high-spec compact tractor. Nestled just below the Maxxum range, it boasts several heavily revised departments over its predecessor including a new control interface, the ability to fit front axle suspension, better hydraulic performance, more power and torque, a more refined transmission, and more programmable features. Ranging from 99-117hp, three models are available. To see what is in store for potential customers, we tried out a pair Luxxum 120s with a range of jobs including transport, ploughing and loader work. The cab is where you will find the most obvious signs of change, as a new armrest control interface takes over from fender-mounted controls. 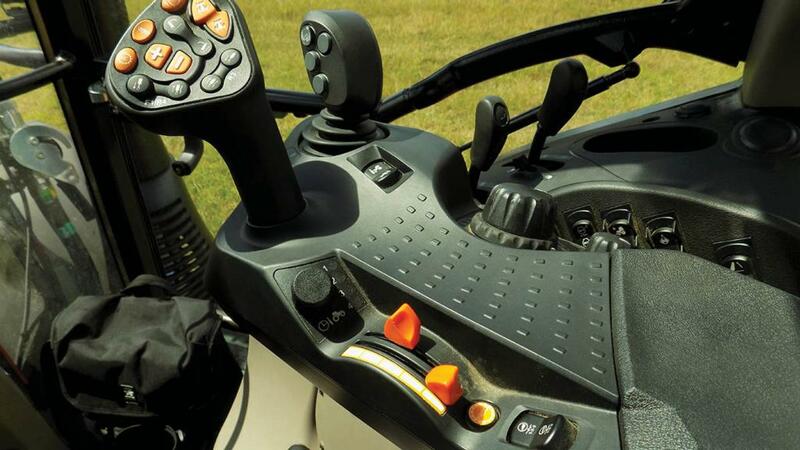 Called Multicontroller, a name shared with the firm’s larger tractors, it incorporates a fixed lever onto which all primary tractor controls are integrated, including transmission, linkage and a pair of spools. This is a much tidier and more convenient solution than before, particularly for gear changes, which were previously taken care of via a ‘stick. Buttons are also different shapes, making them easier to identify without having to look every time. The armrest offers simpler tractor set up too. Transmission modes, for example, can easily be scrolled through via the press of a button, using the powershift buttons to alter parameters. Likewise, a rotary dial is used to alter spool flow and timings, with figures shown on the dash. The digital element of the dash is quite a busy place, but just about gets away with it, with relatively clear symbols showing tractor set up. When specifying electric spools, a joystick is integrated as standard into the Multicontroller. It is a nifty little ‘stick to use, which includes powershift and de-clutch buttons, allowing you to keep one hand on the stick at all times. Engine emission compliance has driven a lot of the Luxxum’s development, which sees it meet Stage 4 via the use of exhaust gas recirculation (EGR), as before, and now the addition of selective catalytic reduction using diesel exhaust fluid (DEF). While this means extra running costs for the DEF, it does mean EGR can be reduced by about 10 per cent, and it does not need a diesel particulate filter. User feedback suggests you will use about three tanks of diesel to every one tank of DEF. Saving the icecaps aside, the engine is a gutsy performer as it demonstrated pulling a four-furrow reversible plough, and will recover well when dragged down to its knees. There is no stupid boost trickery either, what you see is what you get. Like Case’s CVX tractors, the Luxxum features what looks like a split throttle. However, rather than adjusting the upper rev limit, the second slider is actually used to regulate between economy and power modes. This mainly affects where in the rev range automatic gear shifting takes place; an economy setting will see gears short shifted to save fuel, while in power mode the engine will rev harder before changing. Channelling power to the wheels is a 32 by 32 semi-powershift ZF transmission, which gives a strong hint of this tractors’ Steyr heritage. 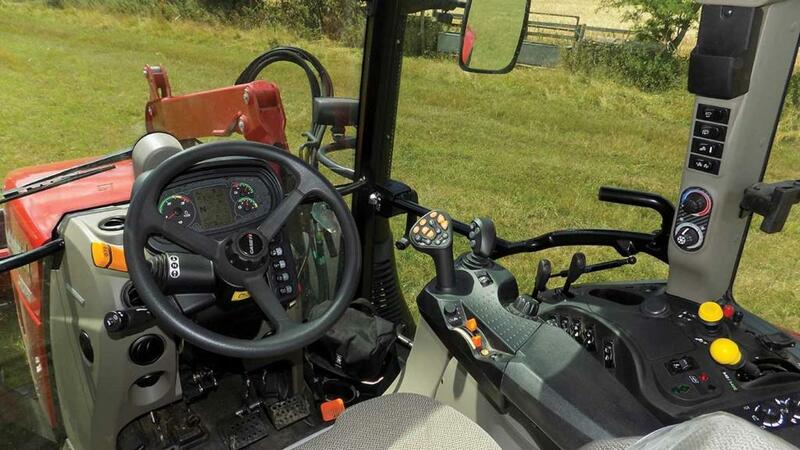 It comprises two main ranges, changed mechanically via a lever on the left-hand side of the cab. Given the tractor’s high-spec credentials, it would be good if this could be robotised and done via a rocker switch on the right-hand side. Within each main range are four smaller ranges, with four powershifts in each. Apart from the main range change, the rest of the transmission is fully robotised. There seems plenty of overlap between the two main ranges, which will see the high range used for most jobs – the low range acting more like a creeper. Operationally, one of three transmission modes can be used; manual whereby you perform powershift and range changes; semi-automatic where automatic gear changes are limited to within a range; and fully auto where both range and powershift changes are automatic from gears 17 to 32. In addition, start-up gears can also be programmed in the same way, as can shuttle gear differences. The latter is useful if you are carrying out loader work and you want to reverse in a couple of gears higher for a quick exit. 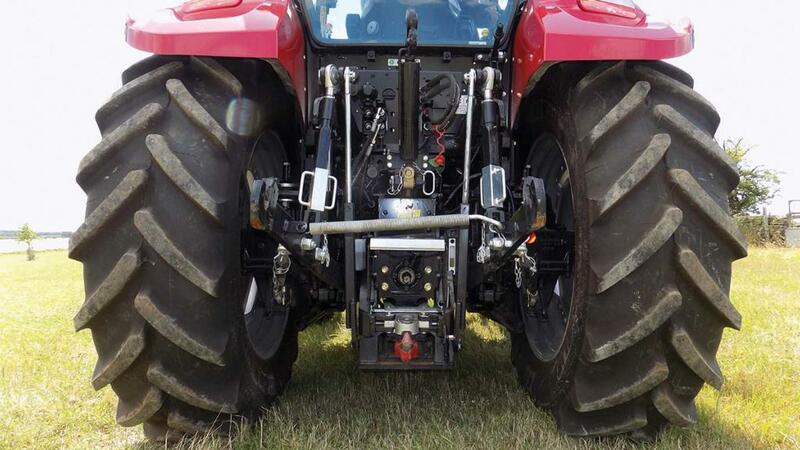 On the whole, powershifts are relatively smooth and the fully automatic mode works well for a tractor of this size. Although the tractor can achieve a top speed of 40kph at 1,730rpm, it does take some stopping – the brakes could do with being a little bit more reassuringly sharper. A stint with a loader gave a clear indication of improvements to the hydraulics. Gone is the 60-litre/minute gear pump, in favour of either 80-litre/min or 100 litres/min closed centre load sensing pump options. On top of these you also get two 35-litre/min pumps which look after steering, transmission pressure and trailer brakes. Suffice to say, using the top-spec option, loader actions were more than swift, with feather light steering to match. This helps keep the revs down, and should help save a bit of juice. Spool options are decent too; up to three mechanical spools, or two mechanical and two electrical at the rear. Two mid-mount electric or mechanical spools can also be specified, as can a hydraulic top link. One rear electric spool can also be controlled from a button on the mudguard. Avoiding any cross contamination, which is a definite plus point, the tractor’s transmission and hydraulics use separate reservoirs. 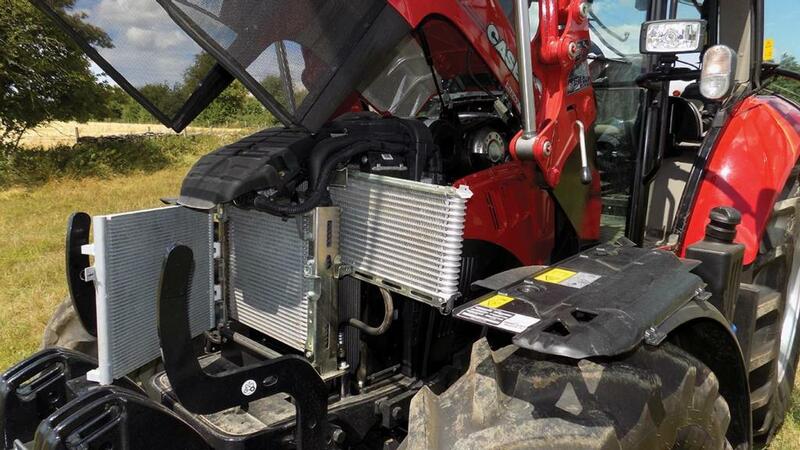 A sight glass at the rear of the tractor allows convenient views of the transmission level and one near the right-hand steps lets you check hydraulic levels. Rear axle capacity has also been upped, able to cope with an extra 500kg. The extra beef means the tractor has quite a naturally heavy back-end, offering good balance for loader work and traction to get the power down. The front axle suspension also makes a positive difference, and it is not maintenance-intensive, with only three greasing points. However, the drawbar is a bit overkill for a tractor of this size, not to mention highly cumbersome when trying to get it in and out of its storage bracket. While the jury is still out on the name, the Luxxum certainly sets itself apart in the Case IH range, combining the compact characteristics of the Farmall range with some of the high-tech features as found on the larger Maxxums. It is quite an evolution from the old Farmall U Pro and should appeal to mixed farms after more spec, but want to retain a relatively small package. Packed with features you would expect to find on larger tractors makes it very customisable, but without being over facing when it comes to set up. The cherry on the cake is its Multicontroller. It points to Case’s Steyr heritage and you could almost argue it looks better than the dated Multicontrollers as used on Case’s larger models. 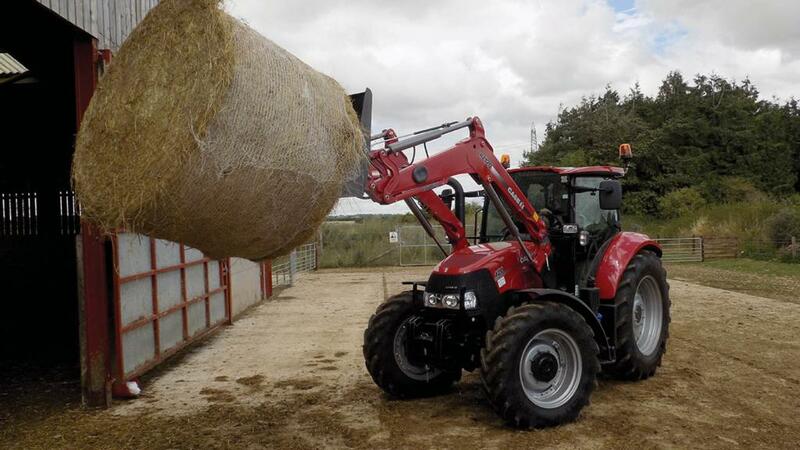 There has also been a lot of thought put into the tractor for loader use; rapid hydraulics, good visibility, convenient controls and adjustable shuttle. However, does it really need 32 gears? Lots of choice is good, but perhaps a more consolidated and simpler transmission with 20 or 24 gears might suit this tractor better. Better brakes and a more appropriate drawbar would finish it off well too.